In Sanatana Dharma, Krishna is perhaps the most written about Hindu god. Not only are his stories fascinating and inspiring, they are also at times relevant to human lives. #1. Shri Krishna was born as the eighth son of Devaki and Vasudeva in Rohini Nakshatra. #2. He is so powerful that he even brought the dead son of his guru Sandipani as a way of paying Gurudakshina to Sandipani. #3. He also revived six sons of Devki (others were Balarama and himself) for a brief moment of reunion. Their names were: Smara, Udgitha, Parishvanga, Patanga, Kshudrabhrit, and Ghrini. In his earlier birth, Kansa or Kamsa was the Kalanemi, who had been killed by Vishnu. The other six sons of Devaki were the sons of Kalanemi in the previous birth, and they had been cursed by Hiranyakashap that they would die because of their father. In the next birth, Kansa kills the six sons of Devki. They were: Hamsa, Suvikrama, Kratha, Damana, Ripurmardana, and Krodhahanta. #4. In the earlier avatar, Lord Rama killed Bali, and he assured Tara (Bali’s widow) that Bali would be able to take revenge in his next birth. Bali was reborn as Jara, and he ended the life of Krishna on earth with a simple arrow. This was the curse of Gandhari. #5. Krishna was the husband of 16,108 queens, out of which eight were the princely wives, known as patrani or Ashtabharya. Their names were: Rukmini, Satyabhama, Jambavati, Nagnajiti, Kalindi, Mitravinda, Bhadra, and Lakshmana. The other 16,100 wives were the ones who had been saved and freed from Narakasura, a fierceful Asura. #6. Satyabhama was jealous of Rukmini when she was fully devoted to Krishna. The famous incident of Tulabharam established that Rukmini’s simplicity was much better than Satyabhama’s wealth. #7. Krishna had 80 sons who were born from eight queens, with each queen giving birth to 10 sons. The most famous of them were: Pradyumna, who as the son of Rukmini; Samba, the son of Jambavati who had been cursed by sages and became the reason that Yadu clan got destroyed. Shri Krishna had done the penance to Lord Shiva to obtain the son like him. Also Read : How did Bhima has Strength of Ten Thousand Elephants? #8. Subhadra, Krishna’s sister, was the daughter of Vasudeva and Rohini and had been born when Vasudeva was freed from prison. Balarama wanted his sister, Subhadra to get married to Duryodhana, who had been his favorite disciple. However, he was opposed by his sister, and also other members of the family. Krishna thus advised Arjuna to abduct Subhadra, and also asked Subhadra to hold the rains of Chariot, such that it was not an abduction, technically. However, she did get married at Indraprastha. #9. Nowhere in the scriptures has Radha ever been mentioned. It’s not mentioned either in the Mahabharata or the Srimad Bhagavatam. It’s a fact that every great reader of Vyasa miss. The fact was probably included by Jayadev and then became famous from there. #10. Ekalavya was the son of Devasrava, the brother of Vasudeva. So, technically, he is Krishna’s cousin. One day, he got lost in the forest, and later found by Nishada Hiranyadhanu. He died protecting his father while Rukmini was on her Swayamvar. And Krishna was the one who killed him. However, he gave him the boon that he would soon be reincarnated and take revenge on Drona. #11. Krishna’s character can be perplexing. At one time, he started to fight with Arjuna, and Lord Shiva had to descend to stop the fight. When asked about the reason, he said that Arjuna needed to fight in the battle and that he was testing Arjuna if he could or not. #12. When Krishna narrated the Bhagavad Gita, it was not just Arjuna who heard it; Hanuman and Sanjaya also heard the story. Throughout the battle of Kurukshetra, Hanuman was on the top of Arjuna’s chariot, and Ved Vyasa blessed Sanjaya with divine vision so that he can narrate the events of battle to Dhritarashtra. #13. Shri Krishna’s son, Pradyuma, was the incarnation of Kamadev, who had been turned into ashes by Lord Shiva in a previous life. In another life, Sambarasura abducted him and drowned him in the ocean. But he survived and later appeared at the kitchen of the lord. Mayawati took care of him (Mayavati was the incarnation of Rati). She narrated how Sambarasura had also attempted to kill him when he was 10 days old.Hearing this, Pradyumna went to Sambarasura and fought him. He used strong language so as to agitate his temper. In the end, Pradyumna killed Sambarasura. #14. The Pandavas are related to Shri Krishna from their mother’s side. Kunti, the mother of Pandavas, was the sister of Vasudev, who was the father of Shri Krishna. #15. Sudarshan Chakra is perhaps Shri Krishna’s most favorite weapon. He used it to kill Shishupala and also used it to create the illusion of sunset when he killed Jayadratha. #16. Jarasandha summoned the demon Kaalyavan to fight Shri Krishna. Krishna realized that it would take some time to beat him, and thus used the boon on Muchkund to neutralize the demon. Muchkund had a boon that whoever he sees first after waking up would be turned into ashes, and he had been sleeping in a cave for a long time. Shri Krishna went to the cave and hid behind a rock when Kaalyavan arrived and woke up Muchkund. As soon as his eyes opened and saw Kaalyavan, he was turned into ashes. #17. Karna was the first person who knew the secret of the birth of Krishna, and it was Krishna who told him. Krishna made an attempt to persuade karna when he was in Hastinapur so that he could avert the war. But Karna politely refused the offer and also requested Shri Krishna to keep Pandavas out of the secret. #18. 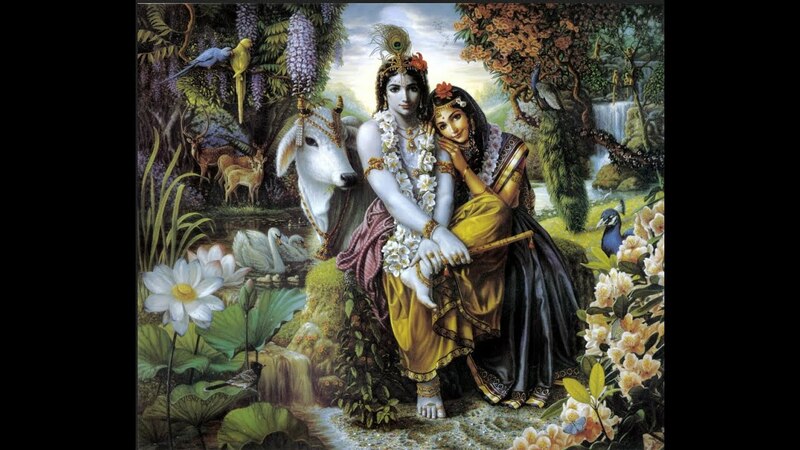 In the event of Ras Leela, Shri Krishna danced with the Gopis, and it was such that each Gopis thought that she was dancing with the Lord alone. #19. When Durvasa was eating kheer in presence of Shri Krishna, he ordered him to apply the left-over kheer on his body. Krishna agreed to apply it to his body, but he didn’t apply it on his feet, thinking that the kheer loses its holiness. But Durvasa got pissed and cursed him that since he didn’t obey his orders, his legs would lose its quality of being impenetrable and unbroken. Somehow this curse became the end of Krishna when a hunter hurt his toe with an arrow, and he left the world. #20. There was a time when Duryodhana attempted to imprison Krishna when he came for negotiations. But that attempt was a major failure. #21. Shri Krishna shows his Virat Roopa, the great form, to all the kings. When Dhritarashtra knew about this, he pleaded Krishna to see this form once. Other souls shut their eyes when he transformed, and as such, only the holy souls who were blessed enough to see that form benefitted. Debunking the Myth: Why did Sri Krishna have 16108 wives?